Guys, wherever you get your hair cut, be it a barber shop or a salon, there is a tool that, when used incorrectly, can actually work against your hair. We have all had a close encounter with it and you may actually think it is necessary for your type of hair or hairstyle. Well, I'm here to tell you to beware of thinning shears. Yes, you heard me. This tool is too often used incorrectly and the damage it can create in the wrong hands is underestimated. I know many guys out there see their stylist or barber using thinning shears on their hair, so here are some questions to ask yourself and helpful tips for a better hair cut. Fine straight hair as we know shows all the little flaws of a haircut. So the common reaction is to thin the ends to blend it. The problem is if the thinning shears are over-used the hair could become even flatter because the structure is weakened. If it becomes really necessary to use thinning shears, they should be used only on the very tips of the hair and not too deep near the root. Yes, they can. When you get your hair cut every 5-6 weeks and these shears are used every time to remove bulk, your hair has no time to recover (grow). At some point, your hair may feel lighter but then it has a tendency to become almost fluffy and very difficult to style. In other words, it’s too thinned. Can you cut silk with gardening shears? Sure it can be used, however, the problem is when your hair is wet it clumps together. If thinning shears are used they tend to remove too much hair. There are other ways to remove bulk from wet hair, like point cutting for example. Some hairstylists create styles using thinning shears and it may work for them. Thinning shears are not a preference of mine. We all see hair differently. Yes. 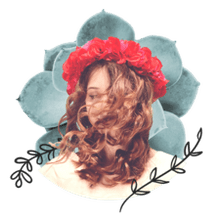 For example, if you use the thinning shears on hair that's about 1 inch long and coarse, the shears tend to cut many shorter pieces within the hair. These shorter hairs can actually push the longer pieces up. I have seen this on many new clients. Sometimes on coarse hair, thinning shares can be the foe so be careful! All I can say is that it’s a matter of where you were educated as a stylist. The hair stylist’s perception of what feels and looks right also dictates the popular use of thinning shears. Know there are so many advanced techniques that can take the place of the thinning shears. And after performing my own research online, I've realized there are many stylists with differing opinions on thinning shears. Some I agree with and others I do not, so this is simply my humble opinion. Antonio Gonzales is a stylist with Orlo Salon in New York City. Get more hair styling tips at Antonio's Website. Are thinning shears bad for fine straight hair? Can thinning shears be used too often? Can thinning shears be used on wet hair? 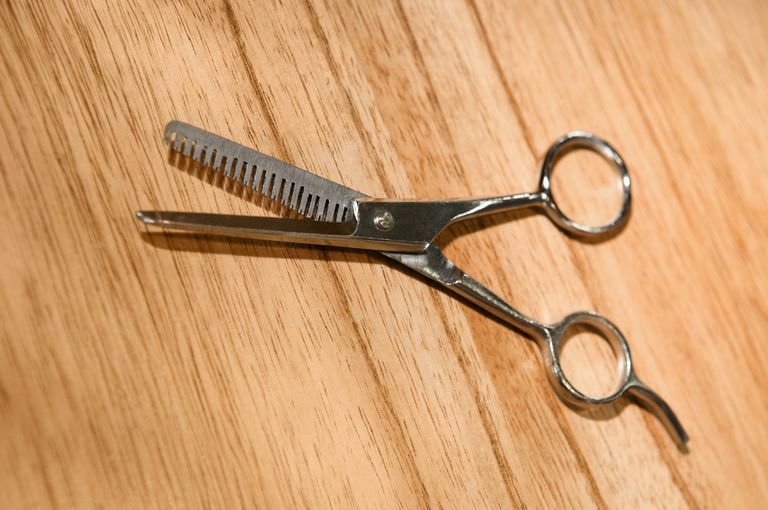 If thinning shears are over-used on thick hair, can it make the hair appear to be fuller?